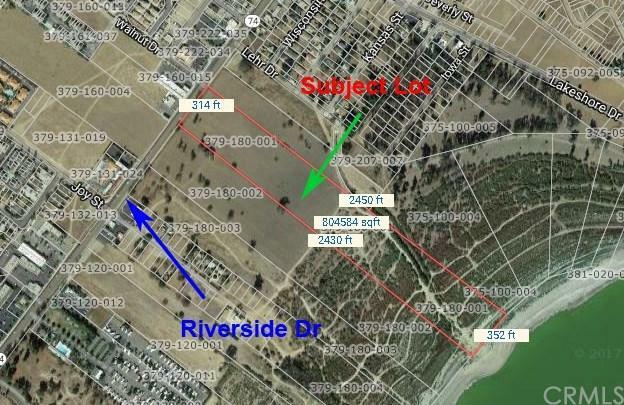 Excellent investment opportunity to build on this prime 18 acres LAKE FRONT land in Lake Elsinore - one of the fastest growing cities in California.Flat grassy land with huge Riverside Drive frontage at major intersections. All utilities in the street. Zoned for Commercial/Mixed-Use.BUYER & BUYER'S AGENT TO VERIFY ALL INFO WITH CITY.